Android 9 pie is out for upgrade and users are sure loving it. Google really has a track record for choosing "Dessert name" for their different Android version, I won't be fazed if they chose any of the above. Google finally ends the long overdue wait by releasing the Android Pie update immediately rolling out over the air (OTA) updates on various of Google Pixel devices — Pixel, Pixel XL, Pixel 2, Pixel 2 XL. A quick Hint: You can get the Android Pie upgrade beta version instead if you are not using one of Google' various Pixel devices listed above. On the other hand, Pixel users can relish all the features of Android Pie right now. 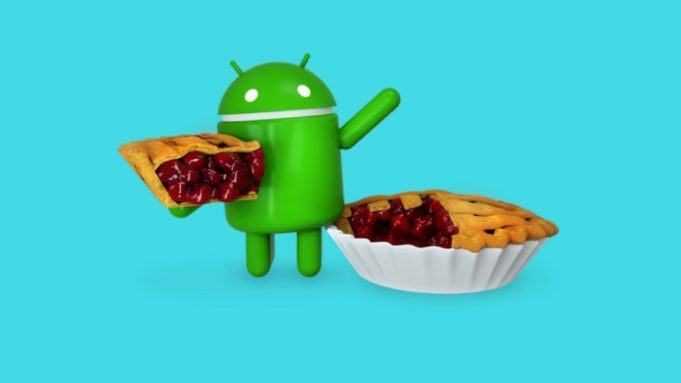 Android Pie is the ninth major version of Android operating system.. From the initial Android 1.6 Donut to the Android 4.0 Ice Cream Sandwich, Android versions have always been a victim of funny names by Google Inc. It thereby with little to no doubt promises to be an exciting adventure for users fed up with always having to come to terms with the different requirements of their smartphones. With pretty much little hands-on features we learnt whilst caressing the new Android 9 pie version, to be fair, the new version did not disappoint at all. Over the years, for reasons best known to the "Big G" they have increasingly gone for funny and quite ridiculous yet intriguing names for there Android version releases. Just to mention but a few. It is high time they tell us what actually is going on behind the purpose of giving either dessert names to our beloved Android versions. The latest Android 9.0 version name being called Android Pie for obvious reasons known to only them. We should definitely run a section for the next Android Q version name which no doubt will only continue the trend of Google using dessert names for Android versions. Smartphone Battery life has been a major thorn in the flesh of users as they have to increasingly come to terms with there everyday charging technique, be it through wired charging or the recently released wireless feature. The new Android 9 pie version, therefore, comes with Adaptive Battery feature that maximizes battery power by prioritizing the apps you're most likely to use next. This can be a big-hit move Google will ever make any day today over the issue of making smartphone battery life last longer - It all starts with there Pixel releases though. Every technology release is it a smart gadget or internet-related App release is always expected to modify to some level its UX so as to make for another exciting adventure for its users. The FIFA 19 EA Sports series which includes a simulation system is a big witness with its always changing gameplay features which not only makes the game better but also adds an exciting feeling to the users. From new "quick settings menu" to the few other notable features like iPhone X-like Gesture Navigation, i.e., discarding the three button navigation. A Digital Well-being DND dashboard is also there tracks the amount of time you spent on your phone and apps like Facebook and others. Other changes include the Dark mode, revamped Notification shade and a whole bunch of killer stuff. Prior to the official release of the Android pie, the official blog post, a couple of features were mentioned which will roll out later this year - meaning more software upgrade along the way. Features like the “digital well-being” one and “wind down” settings which turns your smartphone grey for you when you go to sleep. Important feature rolling out later include the App slices which show information slices of apps on the Google search.